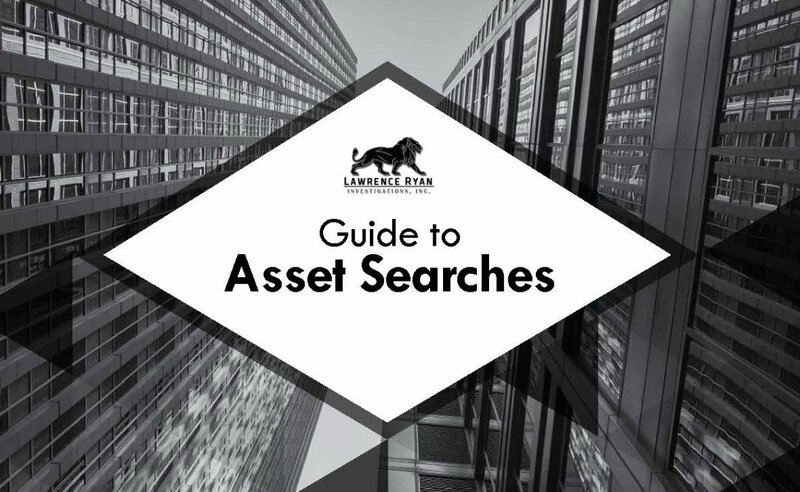 Learn how asset searches work and what you can find. A common service we provide to an investigation is asset searches. People tend to have the same questions; how does it work and what can you find. We wanted to answer these questions in a simple straight forward graphic. Below is an outline of how asset searches work. An effective asset investigation is the essential component to protecting and securing the financial well-being of your clients. Asset investigations are performed to help individuals and companies collect debt, verify financial statements and disclosures, identify fraudulent activity, satisfy due diligence, settle personal injury cases, and verify income and assets for divorce or child support cases. How does an asset investigation work? An effective and thorough asset search can include public record searches, background checks, computer and mobile device forensic searches, manual financial investigations, and surveillance work. Asset searches should only be conducted by investigation firms with the deep experience and resources to determine exactly where the assets are, what their true value are, how secure they are, and if there are any judgments against them. What can be located in an asset search? Financial account searches must be conducted in compliance with provisions found in the Gramm-Leach-Bliley Act (GLBA). If an opt-out agreement is on file, only the financial institution and type of account disclosed. To maintain compliance with GLB, account numbers are withheld. The GLBA contains a pretexting provision making it illegal to use a consumer’s personal identifying information in order to impersonate him or her to gain account information. Do you need to find hidden asset, bank account, property, or financials? 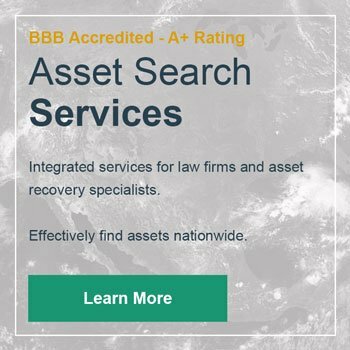 Proven results locating assets throughout the United States. Check our reviews. Complete the form and a specialist will contact you with more details.